It's time once again for the cottage cooking club to come together and posts our thoughts and experiences for the month. We are a group of international blogger's bound together by our love of fresh seasonal veggie dishes from Hugh Fearnley-Whittingstall's cookbook, "River Cottage Veg". Our group is meant to be a project aimed at incorporating more vegetable dishes in our everyday cooking, and is and has been inspired by our dedicated leader Andrea of The Kitchen Lioness. Each month Andrea picks one recipe from each of the 10 chapters and then we pick and choose as many as we have time for. Next month we be our 24th month of cooking together and our last as we will be finishing up “River Cottage Veg”. In May our little group will start two more of Hugh’s books. One is titled "River Cottage Every Day" and the other one is "Love Your Leftovers". Please join us! Our motto for the month of March is: Hang in there, we have almost made it! The first recipe I prepared was the “Vegiflette” toastie. I learned that if you have a piece of bread you can conquer the world, you can provide food for any type of meal or appetizer, mains, lunch and even breakfast. The original recipe used potatoes and bitter greens. I cheated a little here and made mine on whole wheat toast with steamed broccoli and Swiss cheese. After a few minutes in the broiler, I topped them with avocado slices, pistachio pieces and a drizzle of olive oil. This makes a quick and easy meal. The second recipe I prepared was the lentil and parsley salad. Another wonderful dish. Here I used beluga lentils, fresh parsley and a delicious homemade mustard vinaigrette. (Hugh’s recipe called for puy lentils but I was all out). Besides I love the way the beluga lentils hold their shape. The earthy flavor of the lentils combined with the slightly bitter parsley and mustard vinaigrette makes this another big winner here, marking for later to add to my favorites. My third and last dish was the “Three-root boulangere. The three roots were celery root, potatoes and parsnips (I used carrots). What a creamy full flavored indulgent dish this was. Fresh thyme, sage and garlic were the ingredients used to highlight the ingredients of this dish. Certainly not a waist slimming dish, but everything in moderation is okay, right? Hugh recommended serving this along-side mushrooms baked with butter and garlic. I also added a fresh spinach salad. These recipes have been slightly adapted from the "River Cottage Veg", by Hugh Fearnley-Whittingstall. First recipe; from the chapter "Bready Things” Vegiflette toastie (page 206). Second dish from the chapter "Pantry Suppers" Dressed green lentils (page 237). Third recipe; from the chapter “Comfort Food and Feast” Three root boulangere (page 64). To see what recipes the other members chose for this month, head over to the LYL post for March 2016 on the CCC website, by clicking here. Thanks Anu, you too. Love week-ends! Thanks Dena, the lentil and parsley salad was my favorite too. Have a great week-end! Nice choices! I like your changes to the vegiflette---I'd happily eat that for breakfast! Thanks Liz, I am really enjoying meals on toasts, they are so versatile. All three look delicious, each one unique and so intriguing! Thanks Chris, another great month for the Cottage Cooking Club. Everything you made looks wonderful! I loved the vegiflette and the lentils, but haven't made the boulangere. I've got some beluga lentils in the pantry - I've been making lentils du Puy so often they're not getting their due. I'll have to correct that soon. Hi Teresa, I really enjoy the names that Hugh bestows on all his dishes, I think the toastie was my favorite this month, but really they were all delicious! Love love love the last recipe with the roots - I'm always looking for creative ways to use roots, so thank you for the inspiration! Hi Phi, I love roots too, and I really enjoyed combining them together in this gratin. Hi Tandy, I can definitely see why. It has been a fun group to cook with. Cannot beleive next month is our last. Cheri, thank you for your post - all the three dishes that you chose this month were absolutely wonderful and versatile too - nice going with the changed version of the Vegiflette! Thanks Andrea, hard to beleive next month is the last. I better order the new books for the month of May. Thanks for everything that you do. take care! That toastie looks amazing. I am loving all the avocado on top! Thanks Dannii, everything tastes better topped in avocado. 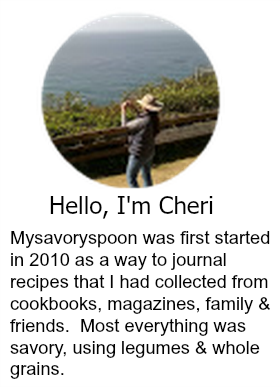 Your cottage cooking club posts are always so interesting, Cheri. It definitely inspires me in the vegetable area. I am so happy it's Spring and the farmer's market opens in a couple of weeks. Keep the great ideas/recipes coming! Thanks Monica, it's not hard cooking out of the River Cottage Veg, such a great book, so many simple recipes. Love spring veggies. Thanks Marcelle, seems like I've been on a toast kick, sweet and savory. Take care! Three delicious recipes, I'm not sure which I'd like to try first! Hi Caroline, it was another great month with the Cottage cooking club. Take care. Everything looks delicious Cheri! I love the changes your made to the toastie and I never thought I'd say this about lentils, but your belugas are beautiful! Thanks Zosia, I was out of puy lentils which was unexpected so I used my belugas they are always delicious. All three of your recipes sound delicious. I made the vegiflette too (loved it), but not the others. I love your thought that with a piece of bread, you can conquer the world. So true! I really have to try Hugh's version of lentils. I make Puy or Beluga lentils all the time, but I always seem to make them the same way. Thanks Suzanne, I've been making breakfest with strawberries toast, toast with eggs so on and on. Seems I am on a roll. A great selection, Cheri. I think the lentil dish is the one I'll try, I love lentils. Hi Amalia, me too, sometimes my husband balks and will not eat another, I can eat them every day. 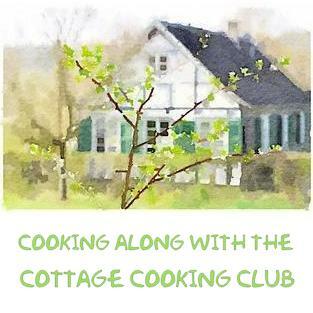 These 3 recipes are by far the BEST cottage cooking club recipes! I bet you enjoyed every single bite! I did Angie, such a great cookbook!!!! Thanks David, it really was delicious, I think that this was the first type I prepared celeric root, loved the flavor. Thanks Gloria, so do I, every type and color. Thanks Kushi, hope you have a chance to give it a try. "With bread we can conquer the world. "Love that! We can certainly conquer the worry of what to make - especially when topped with the broccoli, avocado and pistachio nuts. Yum! Great combo of flavors and textures =) The lentils look and sound oh so good for you, too. And, yes, oh my goodness the 3 root buttery wonder. Thanks Kim, hard to believe but next month is our last. We will be starting 2 new books, if you care to join us. Stuff on toasts are very popular with us! I did not make the other two of your three dishes, ran out of time! Hi Emily, us too, love that you can make breakfast, lunch or dinner that way. branch out much from Puys lentils so it's time. The potatoes were divine, that's for sure. Very lovely post, Cheri. Thanks Mary, I was out of the puys so I used the beluga, but I actually love all lentils. This was a fun month, can't believe this next time will be our last. I love a "slice of toast" meal - and yours looks absolutely fantastic! The avocado is beautiful! Thanks Tricia, it can be a great meal anytime of the day.